Our clients are hardworking men and women who have suffered the sudden and unexpected devastation and loss from serious injury or death in the family. They are victims of a slip/fall accidents, car accident; construction accident; motorcycle accident; medical malpractice in failure to diagnose or surgical errors; injured in workplace accidents; asbestos; mesothelioma Their ability to survive financially has been taken from them through the negligence or legal fault of another. They need help. They need;OUR help. In a perfect world, wrongdoers would admit their fault and pay for the damage they cause and insurance companies would fairly pay claims, so no representation would be needed. Sadly, this is not so. Our New York Personal Injury Attorney law firm's trial lawyers stand as champions for the disadvantaged. We take on the powerful and rich insurance companies with their army of lawyers. We make the medical profession accountable for their malpractice errors. PRACTICE AREAS: Dan Buttafuoco has handled over 100 juried and non-juried trials involving all aspects of personal injury, negligence, product liability and medical malpractice cases. 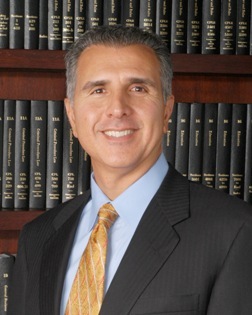 Dan has won for his clients many millions of dollars in verdicts and settlements in these areas. Dan has the third highest recorded personal injury settlement in New York State history. Dan has the highest recorded settlement ever for a police officer. PUBLIC AND SPEAKING ACTIVITIES: Dan hosts a weekly radio talk show entitled “Christian Legal Concepts” for WMCA station 570AM radio. The program features discussion of listeners’ call-in questions about their faith and its connection with the law specifically, personal injury law. As a speaker for numerous churches of all denominations (including Catholic, Baptist, Methodist, Pentecostal and others), Dan has shared his ideas on the Bible, religion and law with many congregations and groups. BAR ADMISSIONS: New York- All Courts; United States District Court (Federal Courts): Southern and Eastern Districts of New York; United States Court of Military Appeals; United States Court of Appeals- Second Circuit; United States Supreme Court; United States Claims Court; Admitted pro hac vice in other states. MEMBERSHIPS: New York State Bar Association; New York State Trial Lawyer’s Association; American Trial Lawyer’s Association; National Organization of Social Security Claimant’s Representatives; National Board of Trial Advocacy- Certified Civil Trial Lawyer since 1989 - Christian Trial Lawyers Associations -Christian Legal Society. PROFESSORSHIPS: Adjunct Professor of Trial Law – National Injury Trial Attorney’s Program Hofstra Law School; PERSONAL: Elder and Bible Studies Teacher at Bethpage Assembly in Bethpage, NY; Former School Board Member and President of South Shore Christian School a/k/a Long Island Christian Academy from 1987 until 2004. Dan is married with 3 children, one of whom is a practicing lawyer. Education: Hofstra University, B.A., 1978; Hofstra Law School, J.D. 1981; Dan recently completed his Masters degree in Theology at Alliance Theological Seminary (2008). FAVORITE QUOTE: “Blessed is the man who walks not in the counsel of the ungodly.” – David, King of Israel (Psalm 1:1).